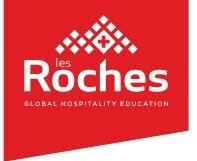 New Delhi: Les Roches Global Hospitality Education was ranked number 4 of the world’s top institutions for Hospitality and Leisure Management, and number 2 worldwide for employer reputation by QS World University Rankings by Subject 2017, released on 8 March. The QS World University Rankings categorize the world’s top universities by subject areas, covering 46 different subjects in 2017. The rankings aim to help prospective students identify the world’s leading schools in their chosen field of study, extendingthe list of subjects each year in response to a high demand for subject-level comparisons. In the Hospitality and Leisure Management category, the survey included two criteria: academic and employerrating, used to assess institutions’ reputation among international scholars and industry leaders. In 2017, the QS World University Rankings draw on survey responses from 74,651 academics and 40,643 responses from graduate employers worldwide. Les Roches’ parent company Sommet Education strives to prepare graduates for success in the hospitality industry of tomorrow through academic rigor, skills-based learning and a multicultural outlook.According tothe same survey, Sommet Education is the only networkwith two institutions ranked amongthe world’s top 5institutions for employer reputation.